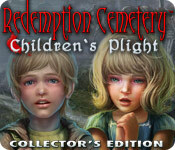 Redemption Cemetery: Children's Plight Collector's Edition is rated 4.5 out of 5 by 18. 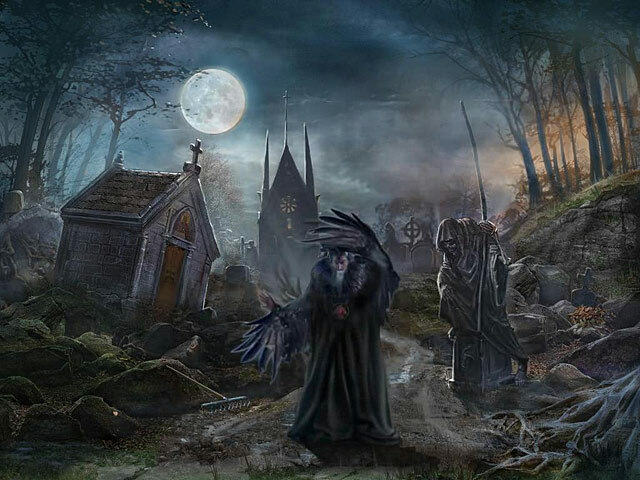 Rated 5 out of 5 by MARTINMYSTERE from wonderful hog I have bought the two installments of the game ( curse of the raven and this one) and i haven't been let down, Excellent graphics and screenplay, wonderful stories to follow and enthralling extras (i buy CE if possible). It seems i can't find a flaw in Big fish games. Rated 4 out of 5 by abelss from Pretty good This one was interesting. You had to save 3 kids from this warlock. Graphics were excellent. Acting of characters were not very good though (emotions seemed a little too fake). HOS were ok, pretty easy, not too many. Puzzles were more on the easy side. The journal was pretty useless. A map would have been nice. The bonus was pretty good in length and storyline. Rated 4 out of 5 by marachat from Good game. Another good one from ERS! :) Liked almost everything so I'll just tell the dislikes: - the voice-acting was poor, especially the last child, the blonde girl. - the "background" noises in the carnival-episode reminded me of Worms Armageddon! Not a dislike so much but anyway. - the reactions of the children when you took them to their relatives. Really? Nothing? No crying? You'd think a child would be devastated if (s)he'd lose a close one. But no, they just state completely normal that they want to see them. Otherwise, a good game. Rated 3 out of 5 by charlene_lane from GAME WAS JUST OK You have Regular and Expert Modes of play, voiceovers and a diary. Because its an older game, there are no morphing objects, map or achievements board. This really is a game for fishies who predominantly like hidden object games. Personally I found it too hard going and annoying with HOGs every turn you take. The graphics are really not very good. 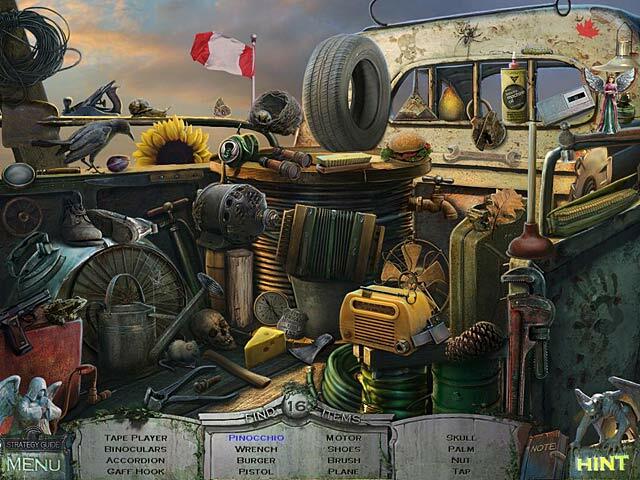 The game is very dark and gloomy, so it is hard to see the hidden objects. Some fishies would probably like this as a challenge. The mini games are very easy to play. The story line is good and easy to follow. The characters are quite likable. Its not that I didn't like the game, its just that its not very challenging and the graphics definitely let the game down. Anyway I will leave it to you to decide if you want to buy the game. Rated 3 out of 5 by Firehorse66 from Stop with the menu pop-up box every time I go to my inventory! Graphics were ok, there are some new and way more crisp and with much better graphics out there now. ***One thing I hate about this game and others is when I go down to my inventory a window pops up with the choice to leave game, continue... Seriously annoying!!!!! Developers get rid of this option we know where the menu button is and how to get out if we want! Let me get in my inventory without having to choose continue every time! *** For that alone this game loses one star, I would have chosen 4 stars otherwise. This game was a bit on the toddler side, but still fun. The puzzles were different and interesting which I always like but they were a bit on the easy side but that's ok with me, it wasn't too easy they kept my interest with the creativity. The extra game play was too short for double the $$, not worth a CE cost as far as I'm concerned. But still recommend game, sure. Rated 2 out of 5 by catbag8717 from Didn't Really Get In To This Game As Much As The Others I really liked both of the other games in this series, but this one didn't cut it for me. Good Parts: Another brilliant intro setting the tone for yet another brilliant storyline, including great voice-overs. Amazing graphics with a great soundtrack to back it up. The graphics are clear, realistic and include very brilliant designs. You can clearly tell a lot of effort was put in to this. 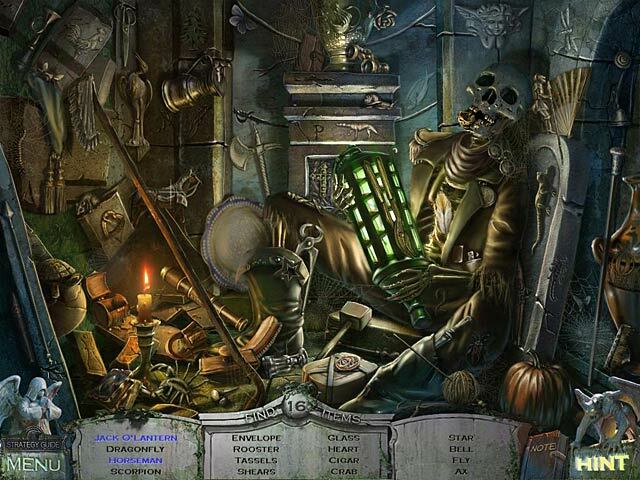 I really liked the Hidden Object Scenes. I loved their challenge and the interactive objects. Built-in strategy guide included. Tutorial was very helpful OK Parts: A few more Hidden Object Scenes would've been nice. Bad Parts: Hint took forever to recharge, while the skip took even longer. For most of the game, it was really difficult to figure out what to do. The puzzles were way, way too hard. It was really hard to figure out what to do and they were just really boring. The game wasn't half as fun as the others. Overall, I got bored really quickly. This game is the worst in the Redemption Cemetery series. Don't bother playing it and skip straight to Grave Testimony.